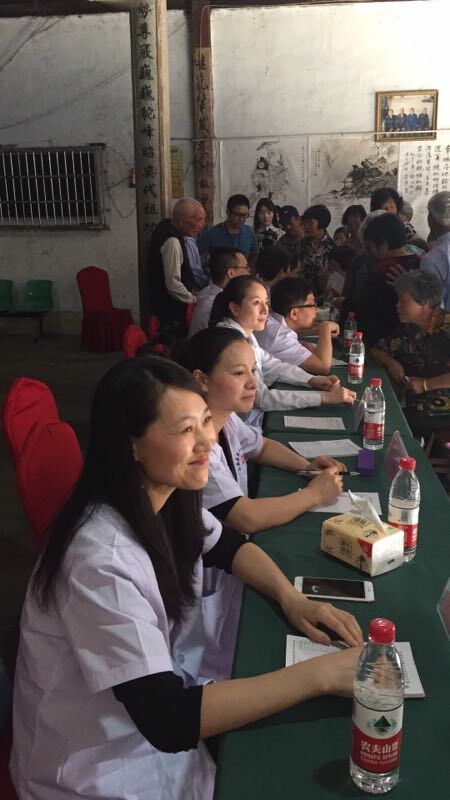 On May 13, SSCLF - Yongjia Medical Public Welfare Fund organized more than 20 Shanghai hospital experts, professors and Shanghai Yongjia - born physicians travel to Wushang village, Yantou township, Yongjia city of Zhejiang province to conduct free medical consultation, and respectively provided a medical aid of 5,000 yuan for two poor patients. 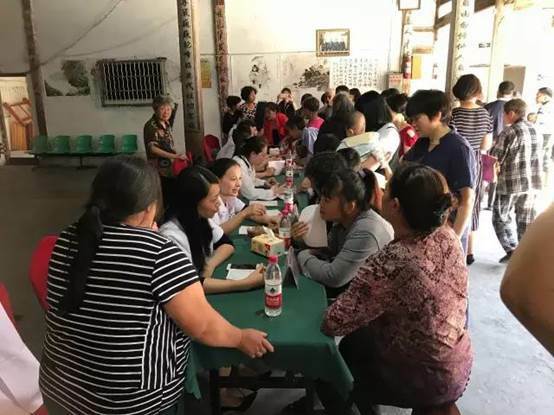 On the afternoon, the villagers thronged the Wushang villager center just like the market. Over 20 medical personnel from more than ten departments of emergency medicine, orthopedics, gastroenterology, breast surgery, gynecology, pediatrics, cardiology, respiration, neurosurgery and others, conducted free screening, diagnosis and treatment on the common diseases and chronic diseases of the villagers. More than 100 people accepted on – spot free clinic service. SSCLF – Yongjia Medical Public Welfare Fund Chairman, Department of Neurosurgery of Shanghai Ruijin Hospital chief physician, professor and doctoral tutor Wu Zhebao respectively issued a medical grant of 5000 yuan for two poor patients, to encourage them to face life positively, and establish confidence in conquering the disease. SSCLF - Yongjia Medical Public Welfare Fund, established in March this year, is mainly engaged in building inquiry platform for Yongjia – born people in Shanghai, providing appropriate financial assistance for poor patients in the countryside in Yongjia, conducting free medical consultation in the countryside in Yongjia area, and providing student grants and other related public activities for Yongjia's poor students admitted to the Shanghai Medical University.